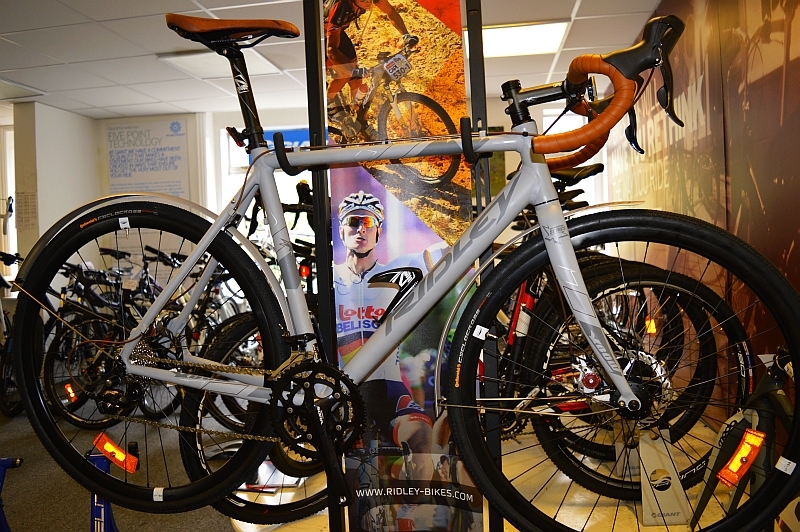 Here’s a neat idea from Ridley – it’s a re-vamped X-Bow ‘cross bike, with a funky paint job, mudguards and some very natty leather look contact points (saddle, bar-tape etc). We think its aimed at the commuter/tourer/winter bike market, but could just as easily be pressed into service for ‘Cross racing too. So that’s at least three, maybe four bikes all in one rather unusual package. And at £999 it undercuts the pure ‘Cross X-Bow too, thanks to some small downgrades in transmission etc. This entry was posted in Latest News on September 24, 2014 by pedalsportclub.